GENEVA: Tosson, Julia, Tyana, Victor, Ilan and many others kids was among the six years old who competed for the Geneva Annual Escalade Course in December. Nassima Douadi, a French Algerian mother is mobilizing her kindergarten athletes to run the historical Course and prevail! 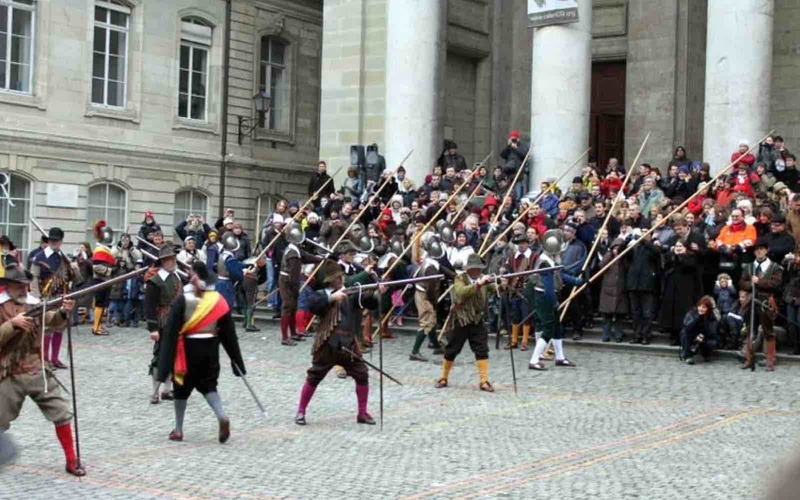 Every year the Geneva Canton celebrates their victory over the wicked Savoy who plotted to storm the old city bastion on 12th December 1602. The French conquistadors were bitterly defeated. 39th Course de l’Escalade. To join the escalade adults will be charged CF 45, while juniors only pay CF 25. What a treat a la Suisse! The number of young girls competing for the course far exceeds the number of boys. Last year where over 42 thousand contestants competed the course. Jean Bottani, President de l’Escalade is proud that the volume of female runners exceeds the number of male competitors. The Escalade kicks off from Le Parc des Bastions through the Vieille Ville (old town). Celebrations. For a whole week the city hotels, restaurants, shops, taverns and streets will be jammed with fun seeking visitors and cheerful, proud Genevois as well. Both Europe and international tourist inflows. This magnetic metropolis has won the citation for Europe’s Leading City Break Destination twice. Apart from its reputation as historical headquarters for world political, diplomatic and economic organizations, the city enjoys enviable quality standards for living, advanced learning, solid banking and luxury shopping. Safe Haven. As for Arts and Culture Geneva boasts forty world class museums. You will easily be tempted of cuisine that showcases the culinary world. Claude Membrez, CEO of Palexpo has been elected as president of the European Major Exhibition Centers Association (EMECA). This nomination reflects the dynamism of PALEXPO as a World hub and a basic attraction & promoter to Geneva. The Lord finally answered Nassima`s prayers. Two of her brigade came on top of their league. Victor ranked 5th, while Tosson scored 7th place in the young boys Escalade race. Let peace and festivals prevail.